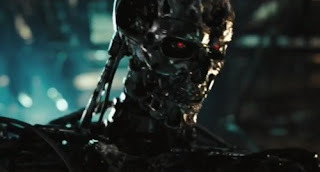 Experts at the prestigious University of Cambridge will conduct research into the “extinction-level risks” posed to humanity by artificially intelligent robots. The Cambridge Project for Existential Risk is dedicated to “ensuring that our own species has a long-term future” by studying the risks posed by AI, nanotechnology and biotechnology. “The scientists said that to dismiss concerns of a potential robot uprising would be “dangerous,” reports the BBC. The project was co-founded by Huw Price, Bertrand Russell Professor of Philosophy at Cambridge, Martin Rees, Emeritus Professor of Cosmology & Astrophysics at Cambridge, and Jaan Tallinn, the co-founder of Skype. It also counts amongst its advisers Max Tegmark, Professor of Physics, MIT and George M Church, Professor of Genetics at Harvard Medical School. An article written by Tallinn and Price warns that artificially intelligent computers or robots could take over “the speed and direction of technological progress itself,” and shape the environment of planet earth to their own ends while displaying about as much concern for humanity as we do for a bug on the windscreen. Far from being resigned to works as science fiction such as in the Terminator films, the threat posed by a potential future “rise of the robots” has never been closer to reality. The study echoes the predictions of respected author, inventor and futurist Ray Kurzweil, renowned for his deadly accurate technological forecasts. In his 1999 book The Age of Spiritual Machines, Kurzweil predicted that after 2029, the elite would come closer to their goal of technological singularity – man merging with machine – and that by the end of the century, the entire planet will be run by artificially intelligent computer systems which are smarter than the entire human race combined – similar to the Skynet system fictionalized in the Terminator franchise. Amidst the debate, the fact that the US military under DARPA is already developing robots for the express purpose of of killing people has been largely overlooked by futurists. As we have previously highlighted, the whole direction of drones and automated robot technology being developed by the likes of DARPA is all geared towards having machines take the role of police officers and soldiers in pursuing and engaging “insurgents” on American soil. Experts like Noel Sharkey, professor of artificial intelligence and robotics at the University of Sheffield, have warned that DARPA’s robots represent “an incredible technical achievement, but it’s unfortunate that it’s going to be used to kill people.” The Department of Defense recently issued a new policy directive attempting to “reassure” people that artificially intelligent cyborgs wouldn’t be used to murder people after Human Rights Watch called for an international ban on “killer robots”.